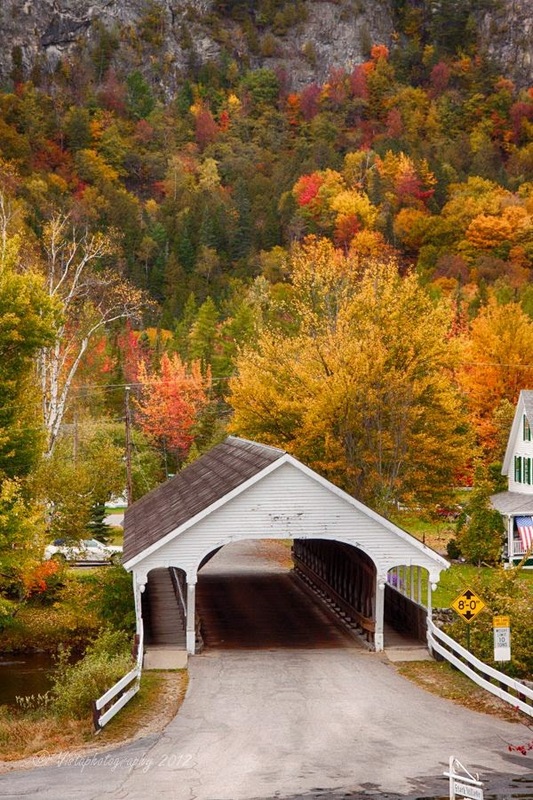 Il New England, regione nordamericana all'estremo nordest, composta dai sei stati (Vermont, New Hampshire, Maine, Massachusetts, Connecticut e Rhode Island) in questo periodo si colora di fuoco. 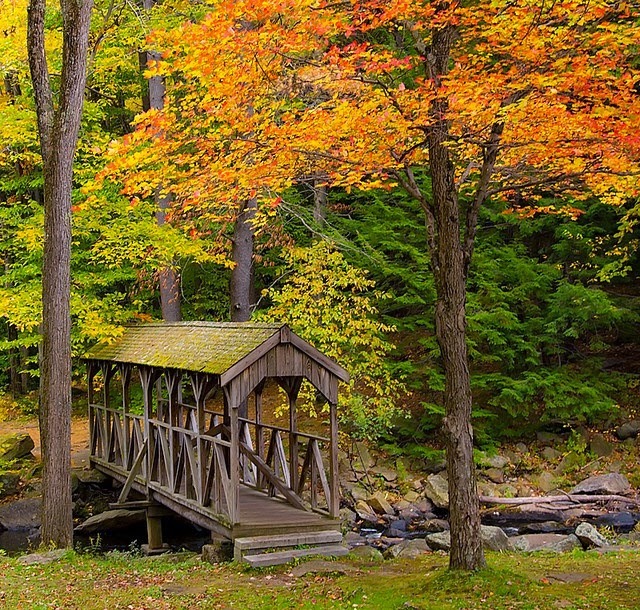 Qui, grazie all'Indian Summer che regala giornate ancora calde e notti fresche, le foglie degli alberi assumono colori intensi: gli aceri diventano rossi e arancioni, i pioppi giallo intenso e i sommacchi viola, facendo da contrasto al cielo azzurro e i campi verdi e creando una scenografia eccezionale. 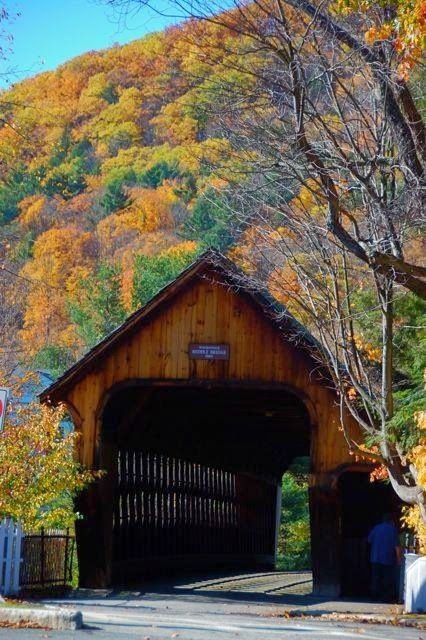 Il Fall foliage da queste parti è un’attrazione turistica più che i monumenti. 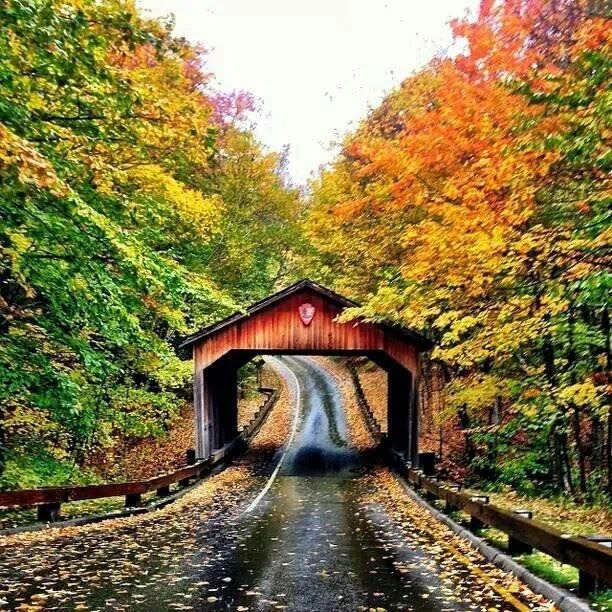 Il modo migliore per godersi lo spettacolo è attraversare in macchina i numerosi parchi nazionali della regione, percorrendo le Scenic Byways (superstrade scenografiche) che corrono lungo i sei stati, e il punto di partenza ideale è Boston. 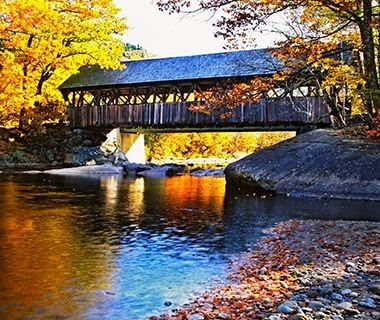 E se scorrazziamo in auto per il New England, incontreremo sicuramente qualche covered bridge! 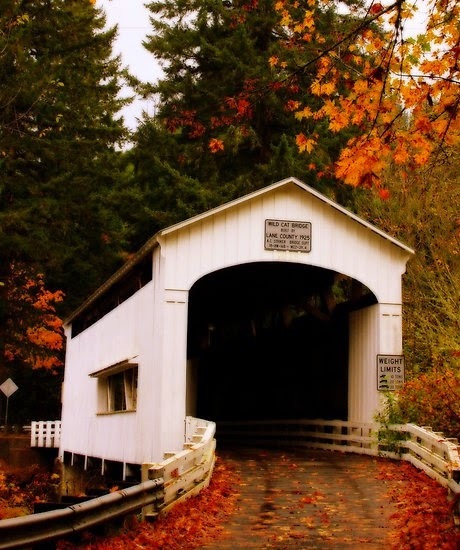 Ricordate i Ponti di Madison County? 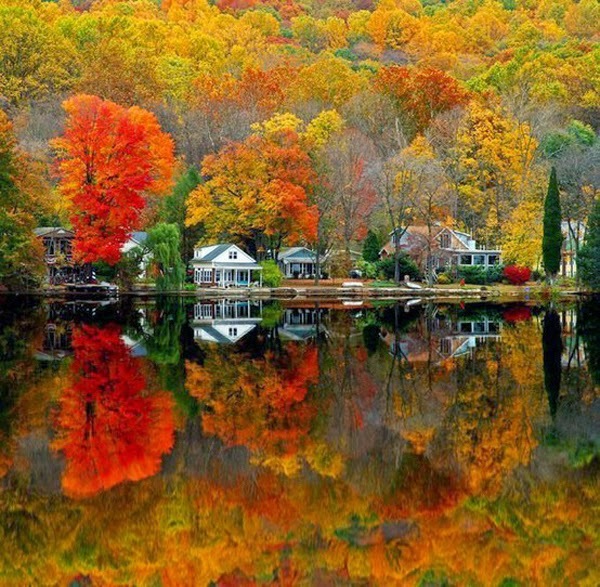 New England, a North American region in the extreme northeast, is composed of six states (Vermont, New Hampshire, Maine, Massachusetts, Connecticut and Rhode Island) and in this period is colored by fire. 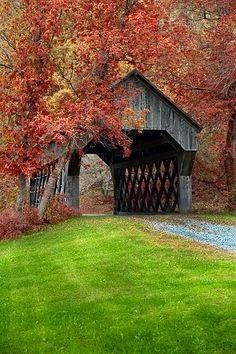 Here, thanks to the Indian Summer days - that offers more hot days and cool nights - the leaves take on rich colors: the maples turn red and orange, deep yellow the poplars, and purple the sumac, creating an exceptional setting by contrast with the blue sky and green fields. 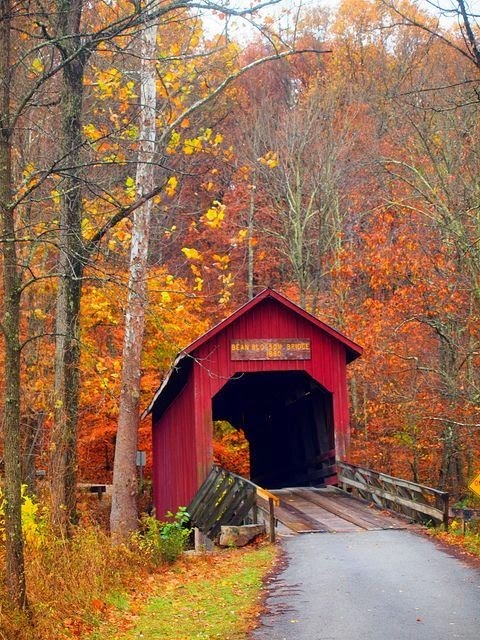 The Fall foliage around here is a tourist attraction rather than monuments. 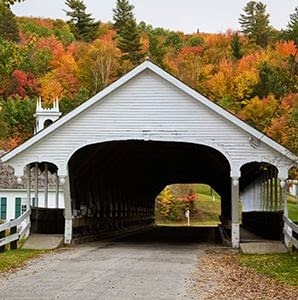 The best way to enjoy the show is to drive through the many national parks in the region, along the Scenic Byways (scenic highways) that run along the six states, and the ideal starting point is Boston. 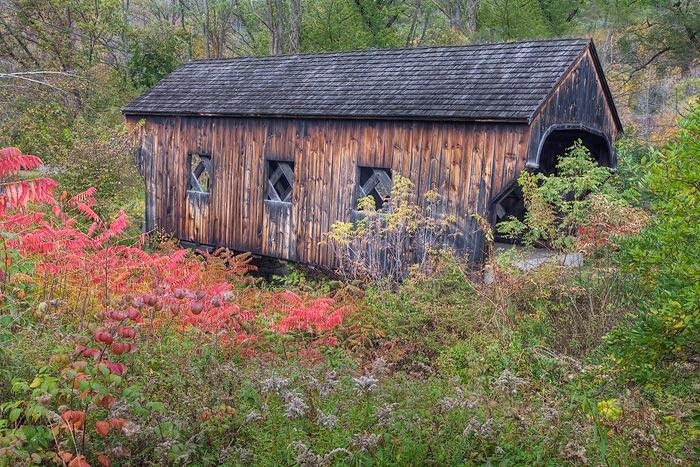 And if we turn towards car to New England, we will surely meet some covered bridges! 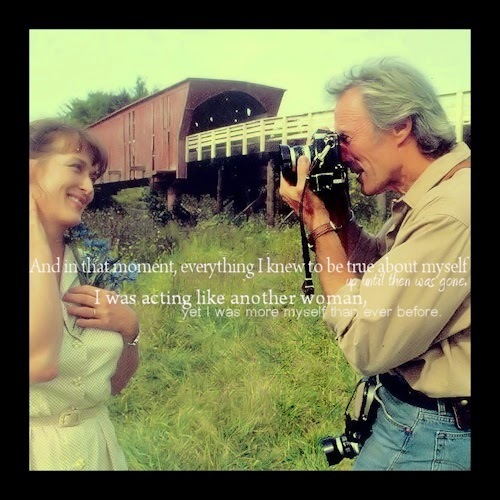 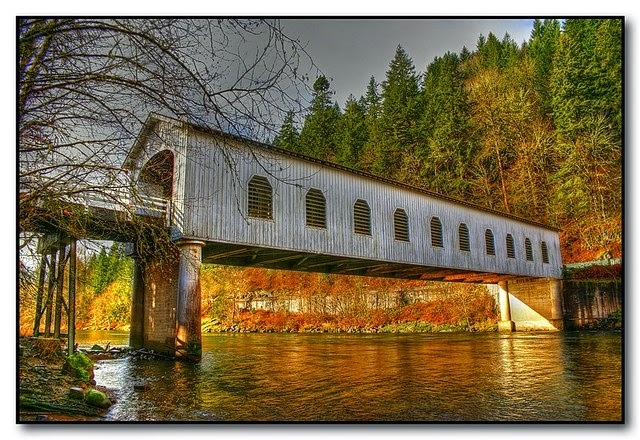 Do you remember the Bridges of Madison County?